You know what? It’s time to take some you time. You have had a busy year and there is nothing quite like relaxing and being pampered all day to let you know you did a great job. At what you ask? Being a warrior of life! To help you relax and focus on your needs, we have found the best spas near Westchester. Leave the family behind, turn off your mobile, and just get ready to chill out for a bit at these great places. At Addison St. Spa, they believe wellness is a way of living, and they provide the ultimate service to help you do just this. Whether you want a day focused on looking or feeling great (or both), you’re in for a treat. From facial and body treatments to massages, waxing, and reflexology, you’re going to step away exuding your best self. They even offer eyebrow tinting, so you can get that perfect shade you’ve always wanted. Once you step foot into The Red Door, you know you’re in for treatments that are going to have you shining brightly. Here, you can recharge, get healthier, and truly focus on you. The professionals at The Red Door specialize in facials, massage therapy, body treatments, and waxing. Choose your favorite services, or all four, and walk away feeling like a new and beautiful person, inside and out. 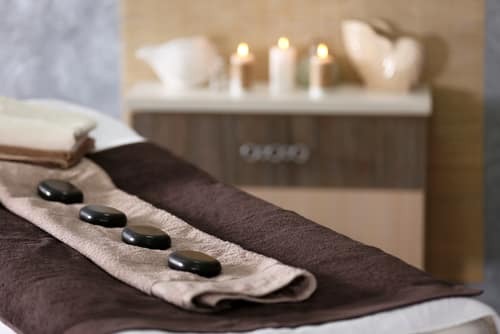 Tranquility spa promotes relaxation, renewal, and revitalization with their line of luxurious services. Not only are they going to make your body feel great, your mental state will be surely be uplifted. Choose from a long list of treatments, including massage, facials, waxing, dermaplaining, lamprobing, and laser hair removal. You can even bring your pals or your significant other for a visit you’ll always remember. With the best spas near Westchester, you can take a day (or heck, a whole weekend), and focus on treating your body, spirit, and mind.